Our friends from Funny / Not Funny Records in Harrisonburg, VA dropped us their latest cassette release. DROOPIES is a trio of friends who are spread out between Philadelphia, PA and Richmond, VA. Their new 15-song cassette comes jam-packed with palpable layers of grit, fuzz and whatever other variation of filth your ears detect within. Responsible People is a mixed grab bag of spritely pop nuggets and strung out dazes, all wrapped up in psychedelic layers of haze and scuzz. This approach is a result of oozing synths and/or gritty guitars, but even through a whopping total of 15 different tracks, they manage to keep you guessing what direction the next track is going to take you. And this is all achieved with only so many elements at their disposal. Opener “I’m Not the Boss” cracks this tape open in the creepiest way possible. Snaky guitars skulk around aimlessly, almost like they’re tiptoeing their way right into track number two “Inner Space.” Here you’re hit with an unmistakable pop-punk buzz, driven forward by clanking cymbals and a ravaging sense of urgency, which is already awfully different from the way this cassette began. “What Confines” opens up with colorful washes of guitar and vocal cooing, stumbling open slowly yet deliberately with an emphasis on atmosphere. It’s the kind of arrangement that fits perfectly with your dazed and groggy Saturday morning. “Gone Wrong” comes spearheaded with these grim and raunchy guitar tones, which will become more familiar as you dive deeper into this cassette. “Once In My Life” admittedly sounds like an outtake from a Wand album – it’s fleshed out and loaded with color! Listen below for the big picture and you won’t be let down. Buy a cassette while you can, there are only 100 pieces to go around! BUY the tape from Funny/Not Funny Records – only 100 copies! and only $5 bucks! 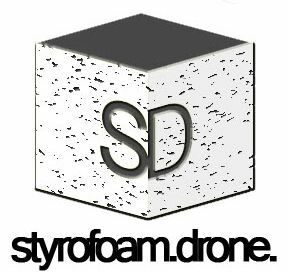 Posted on March 9, 2018 March 9, 2018 by styrofoamdronePosted in Cassettes, ReviewsTagged noise rock, pop, psychedelic.